One of our favorite parts about summer is utilizing all the herbs in our raised beds. We don’t have a huge backyard (or as one of us would say, garden), but we love the space we have, and have managed to get four raised beds and a patio out of it and made it such that we use it all the time. This simple dinner was eaten outside and sort of seemed like the perfect combination of summer flavors to us. 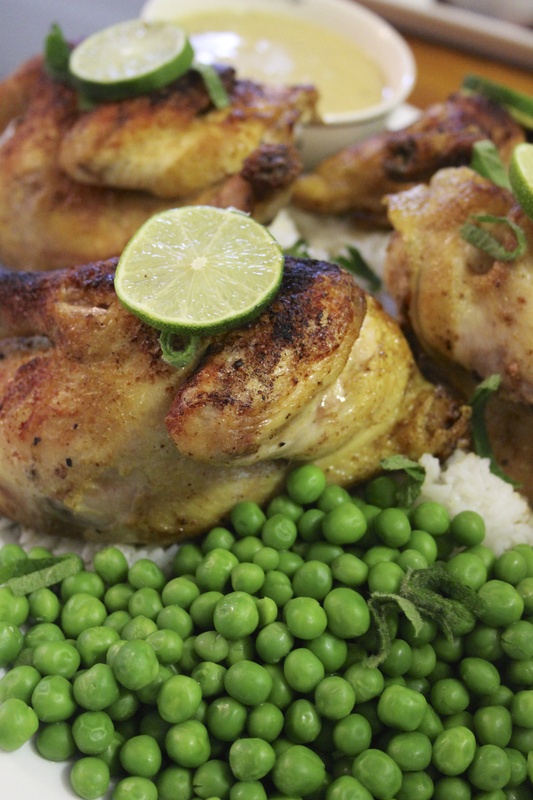 We started with two cornish game hens, rice and peas. To make it a little less ordinary we re-created one of our favorite sauces. The great thing about this is it is made right in the same pan we cooked the cornish game hens in. 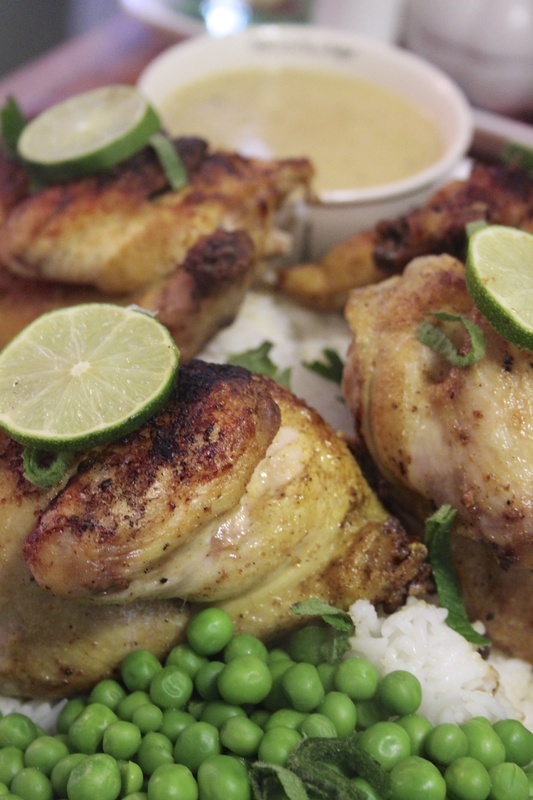 Using the pan juices from the cornish game hens, the juice of a couple limes, a sprinkle of flour (sprinkled in by use of a sieve to avoid lumps) and a splash of water, we then heated the mixture until it thickened. Right at the end we added a few chopped mint leaves which we had gotten from the garden. 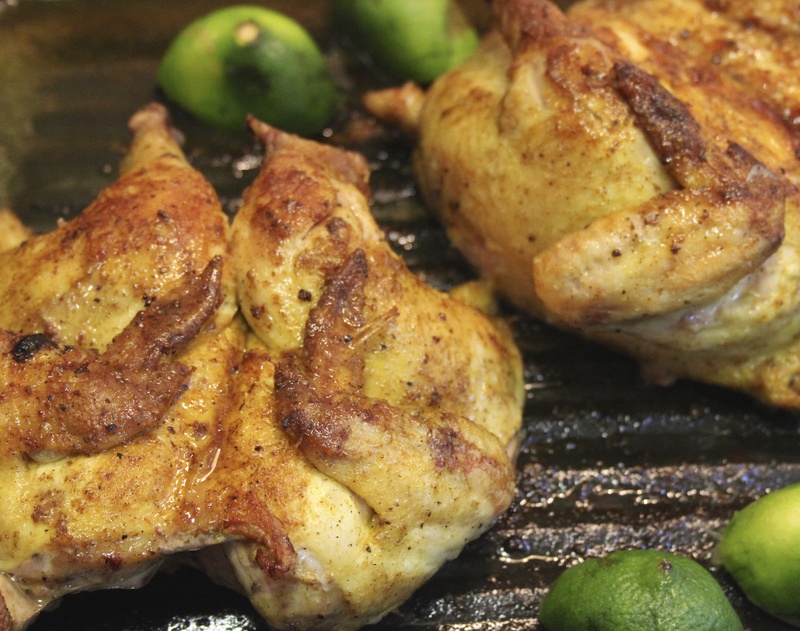 You can either drizzle this over the cornish game hens or use it as a dipping sauce. 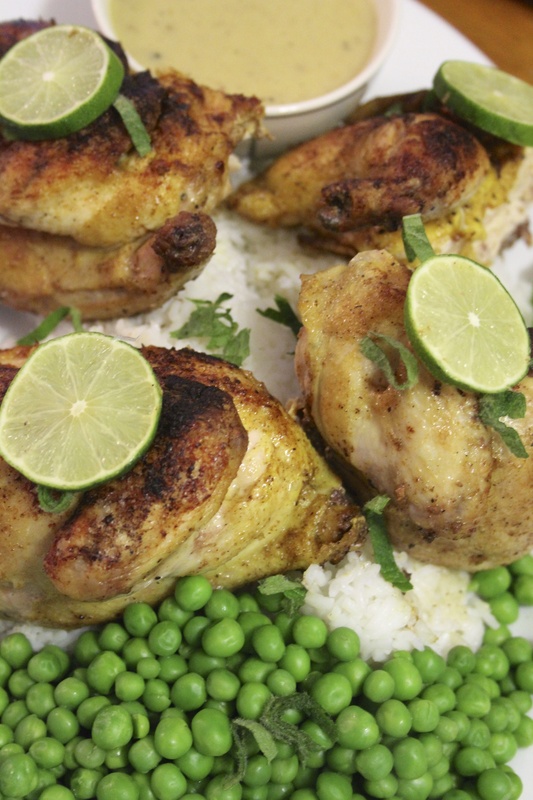 It is light and summery and the addition of the limes are a nice yet subtle change from our usual go to lemon sauce. 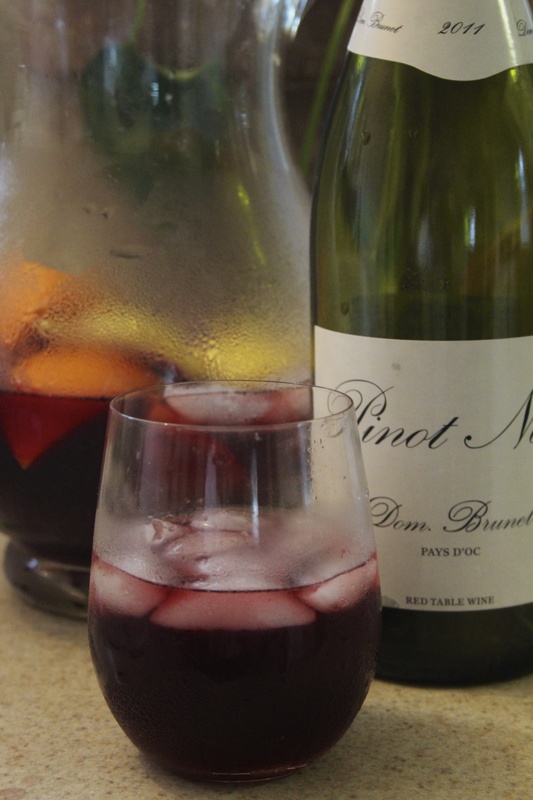 We served ours with sangria which made it all the more summery.